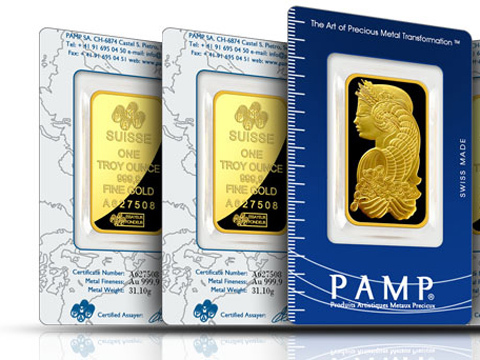 World's leading bullion brand PAMP will set up duty-free gold shop at the Indira Gandhi International Airport. The government cleared the proposal of PAMP Gold LLC, Dubai for 100 per cent foreign direct investment (FDI) for setting up the duty-free shop of gold and silver metals at the airport. In all, the government gave its approval to 22 FDI proposals worth Rs 3,248.83 crore. KSK Energy Ventures Ltd, with 74.94 per cent foreign equity and engaged in the business of investing company, has been given permission to issue and allot warrants to foreign promoters. The proposal entails investment of Rs 1,050 crore. FIPB has also cleared the proposal of InterGlobe Aviation, holding company of IndiGo. This would clear the way for fresh foreign direct investment in air carrier IndiGo. The approval is also likely pave the way for IndiGo to come out with its IPO. The air carrier has been planning to attract additional investment for several months. Other proposals which have been cleared include that of Gurgaon-based Baxter (India) (pharma firm), ARKRAY Healthcare (pharma), Verdant Telemetry & Antenna Systems (defence), Genpact India (IT) and Innisfree Cosmetics India (trading), has been deferred. These include those of HBM Private Equity India, Intas Pharmaceuticals and Verizon Communications India Pvt Ltd.